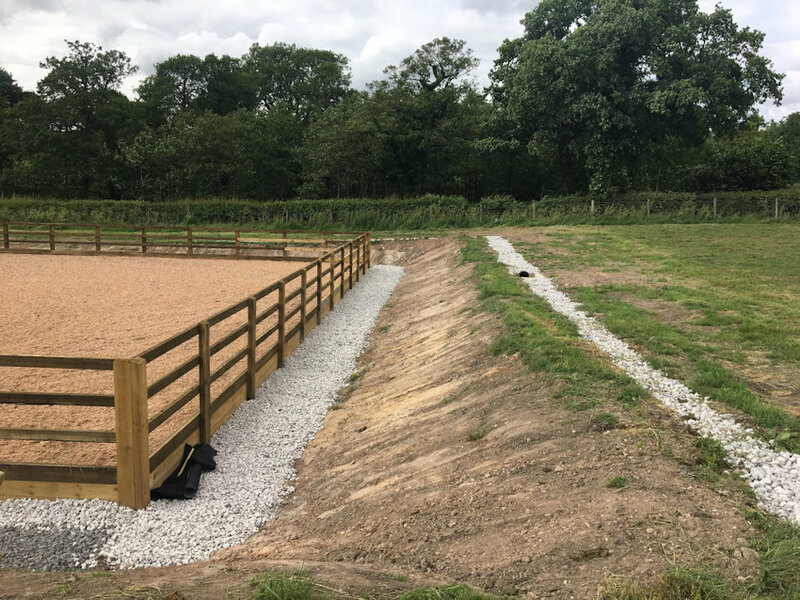 At Yellow Hill Equine we really can offer a full service right from design through to completion on your entire project. 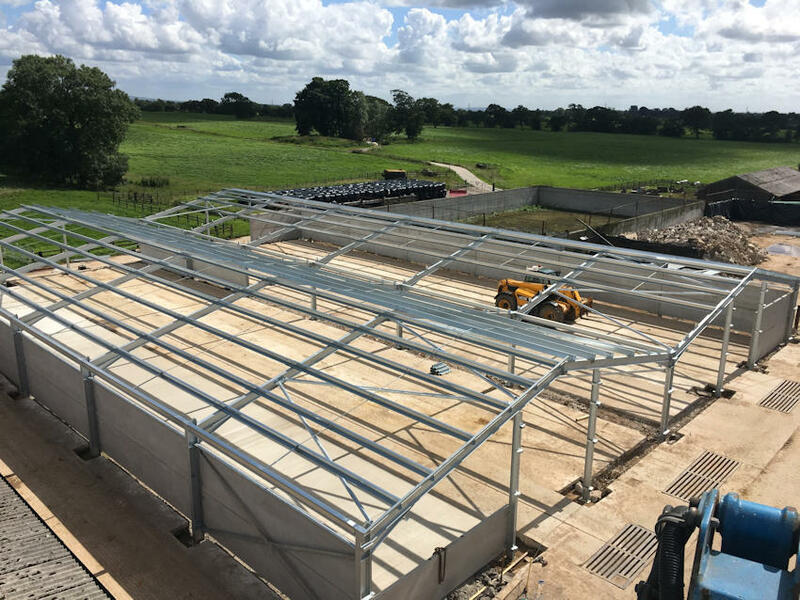 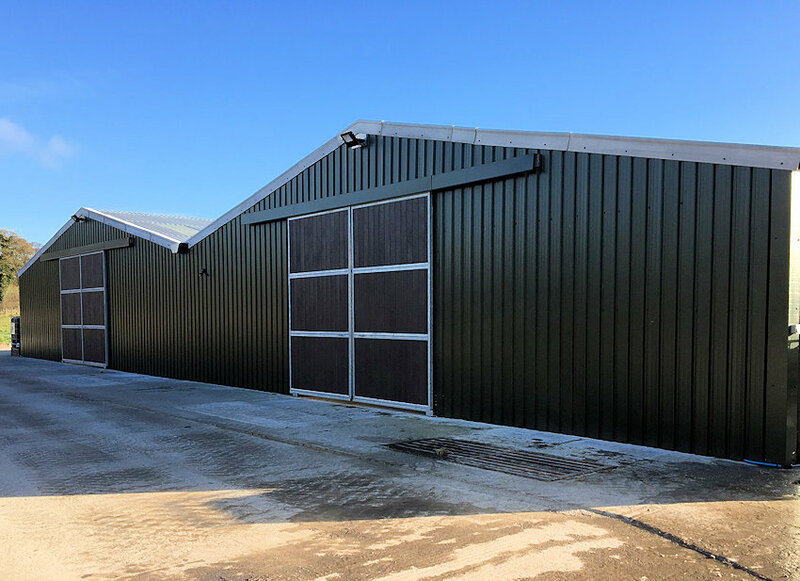 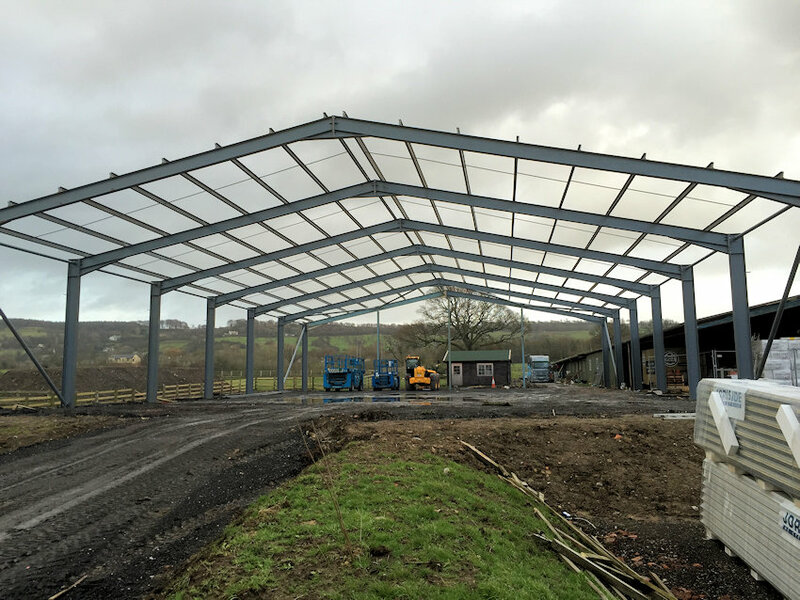 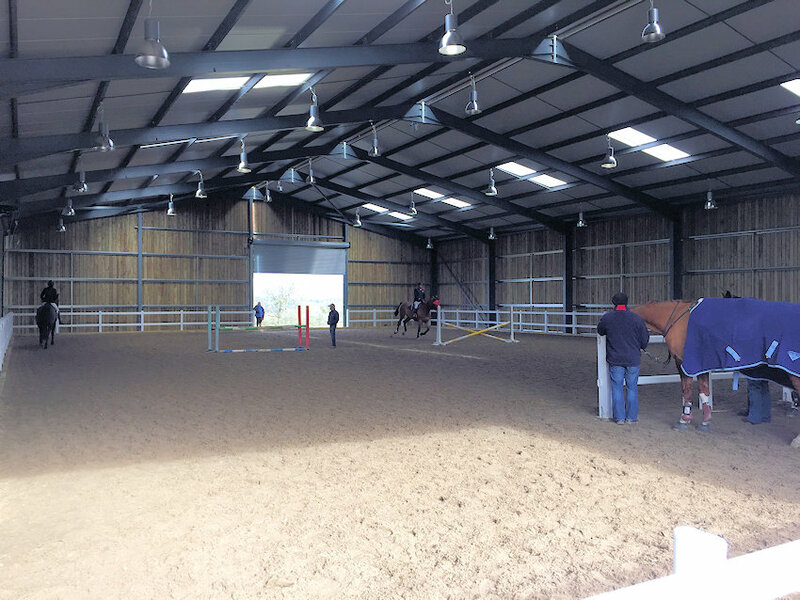 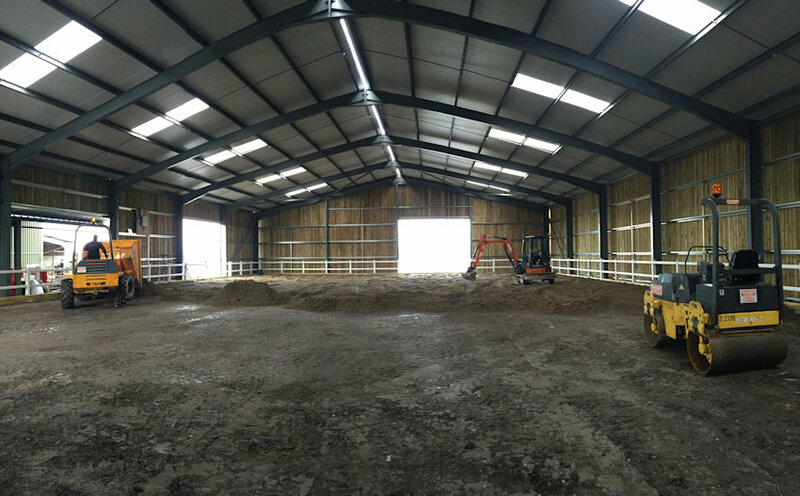 We can create a range of bespoke buildings and surfaces, whether it be Arenas, stable buildings, indoor schools or even cattle and general livestock housing. 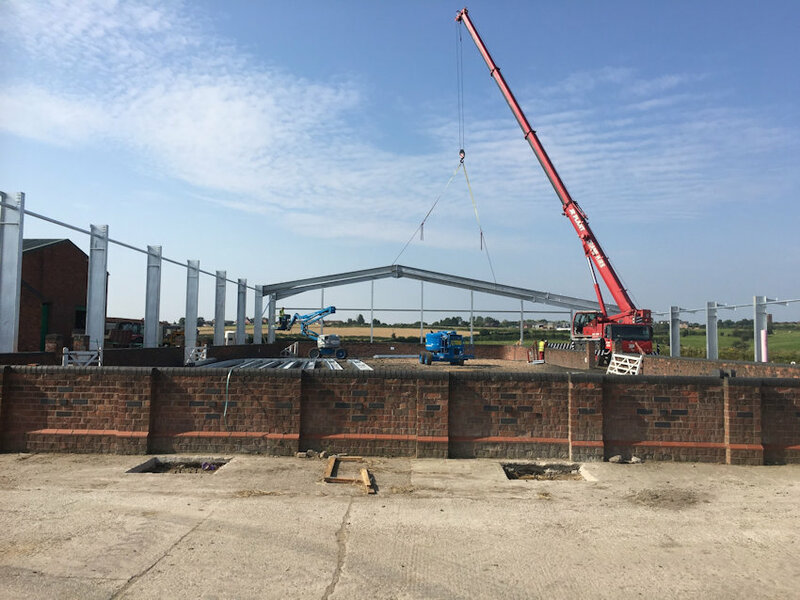 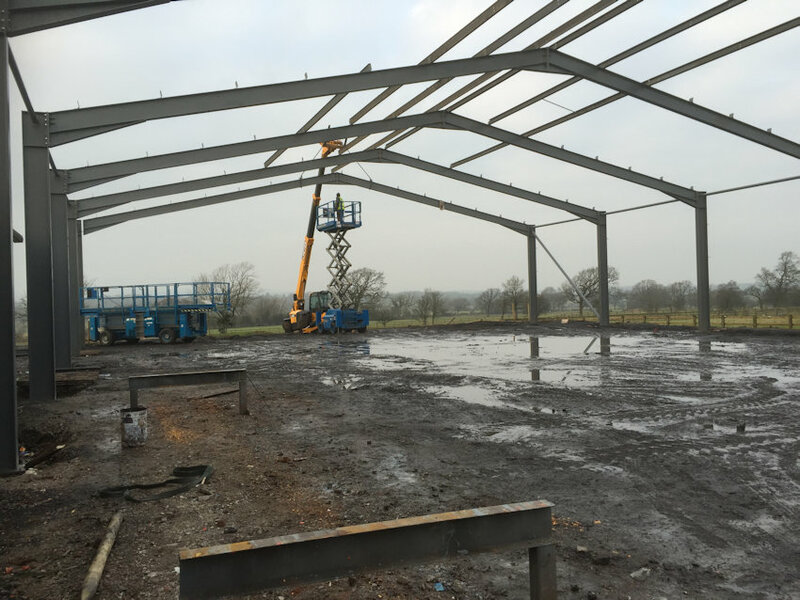 We have the skills, experience and equipment to offer a full range of groundwork services, steel building erection, concreting and everything required to make your building suit your needs. 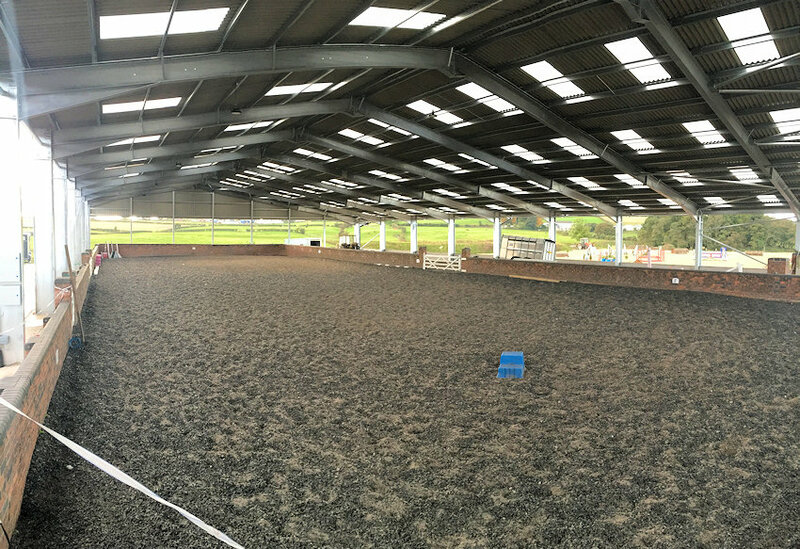 Arenas from design to completion. 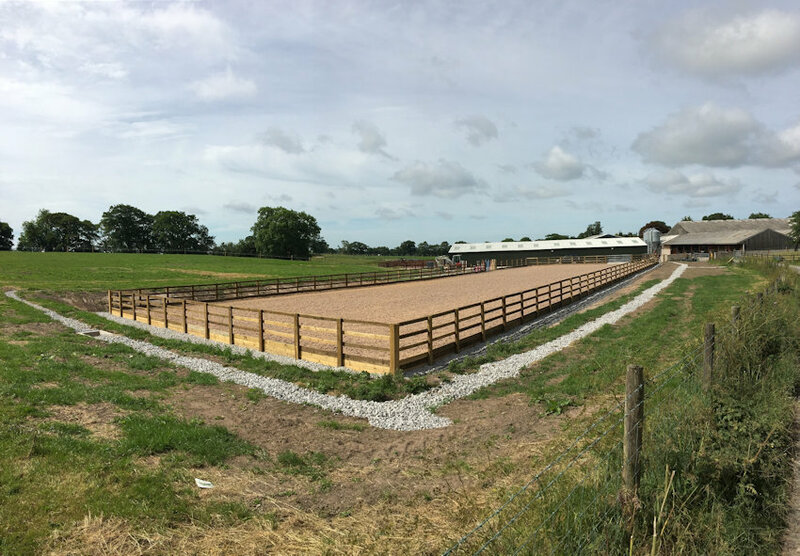 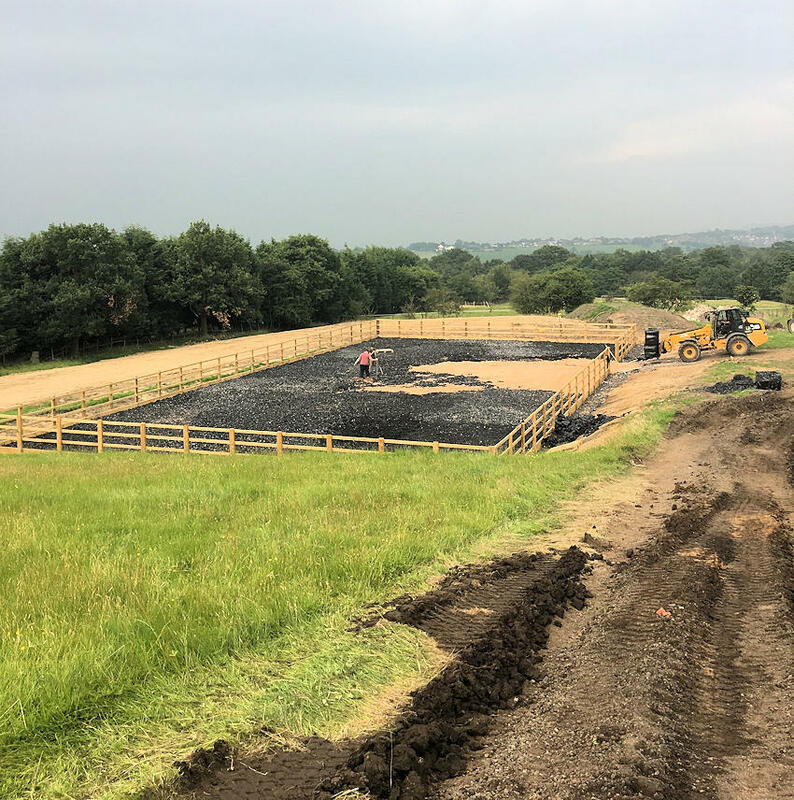 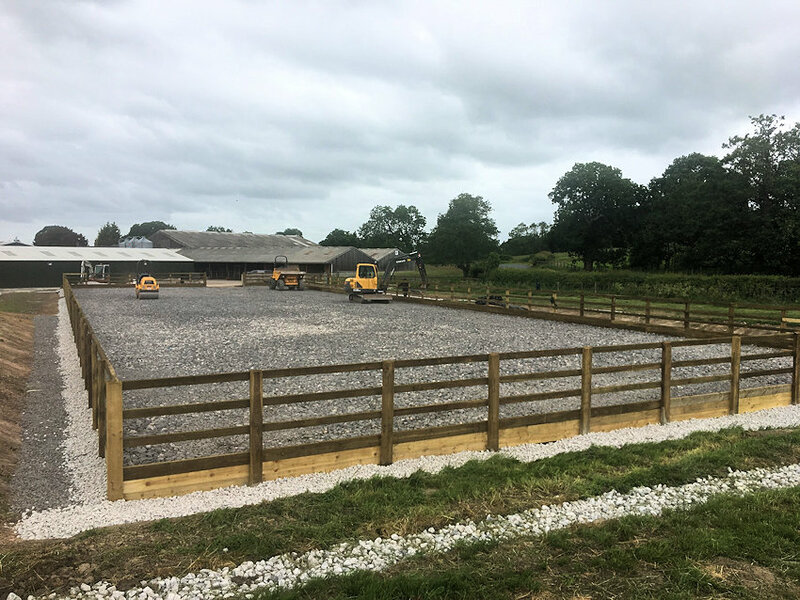 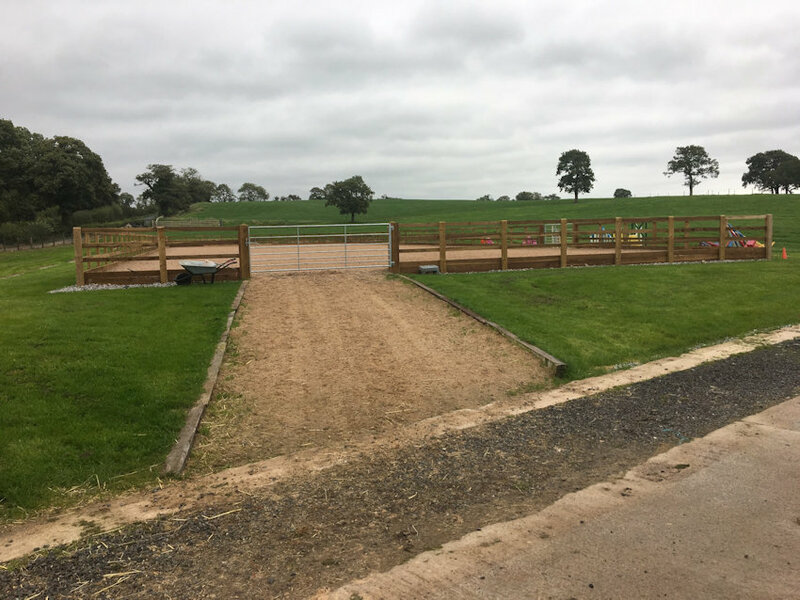 We can create a range of bespoke arenas, lunge pens and turnout pens with a choice of surfaces to suit a wide range of equestrian disciplines and personal budgets. 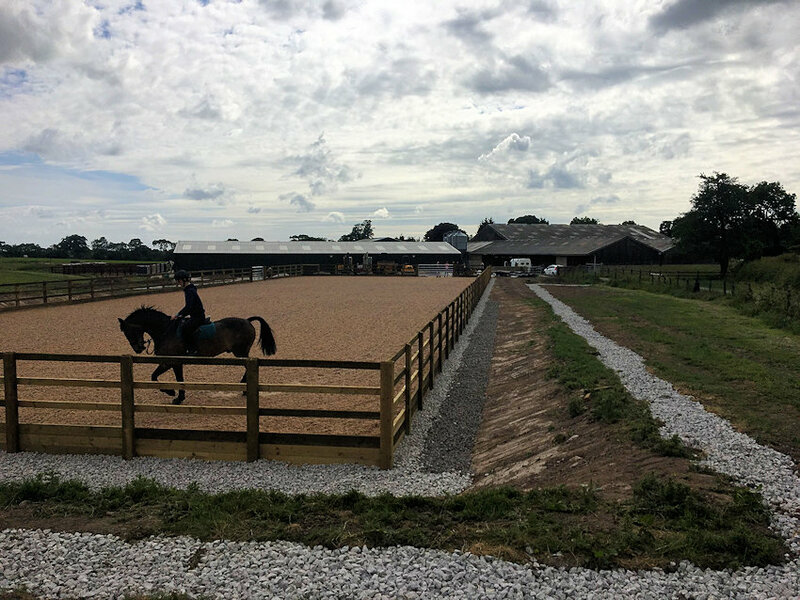 We can source whichever equestrian surface you prefer such as: rubber composites, fibre combinations, synthetic textile surfaces and sand surfaces. 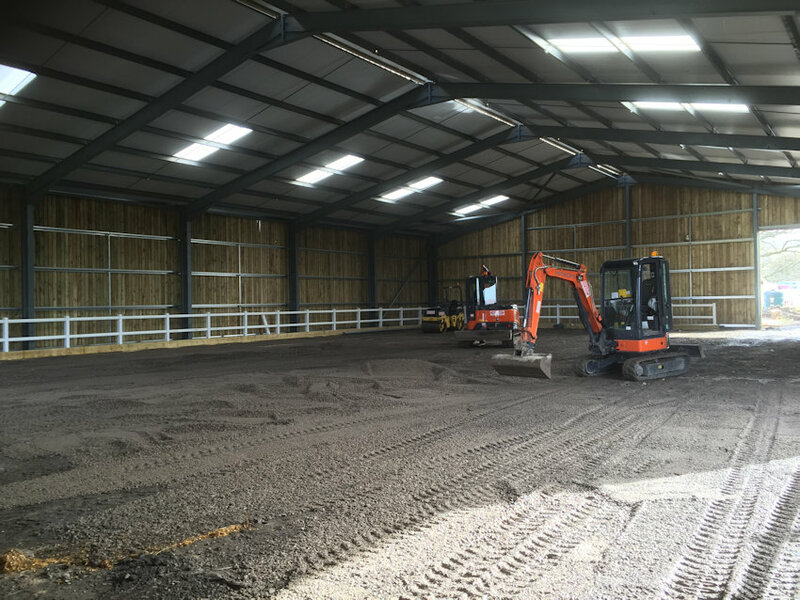 Whether it be arenas, indoor schools or exercise and turnout areas, we can design your project to fit your property and meet your needs. 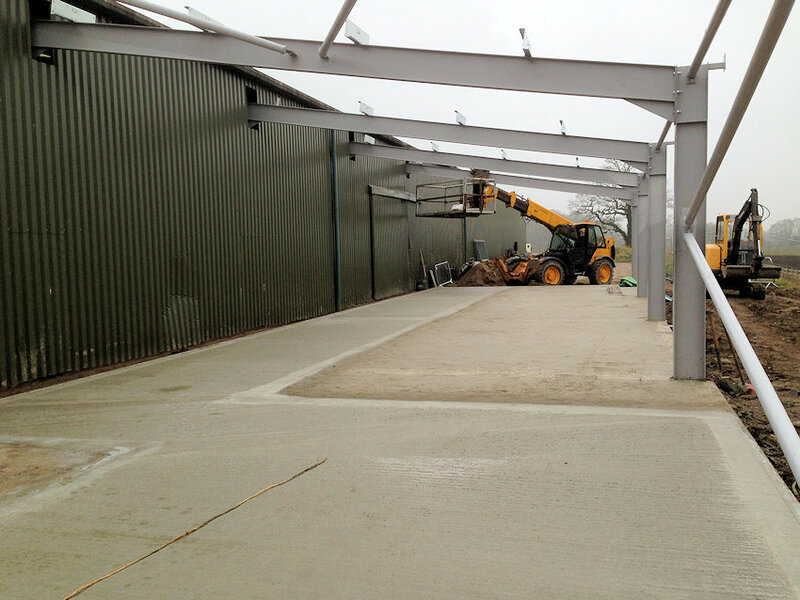 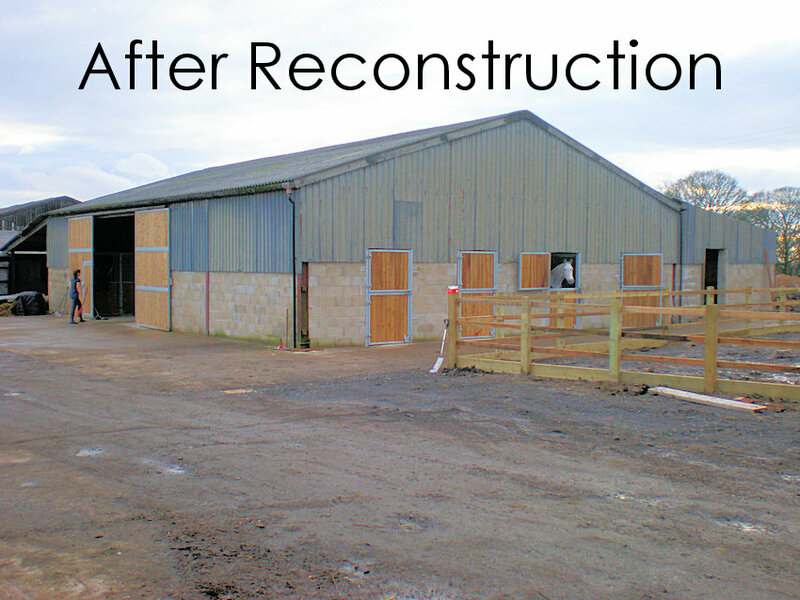 We can construct new builds or can convert existing barns / buildings to suit your needs. 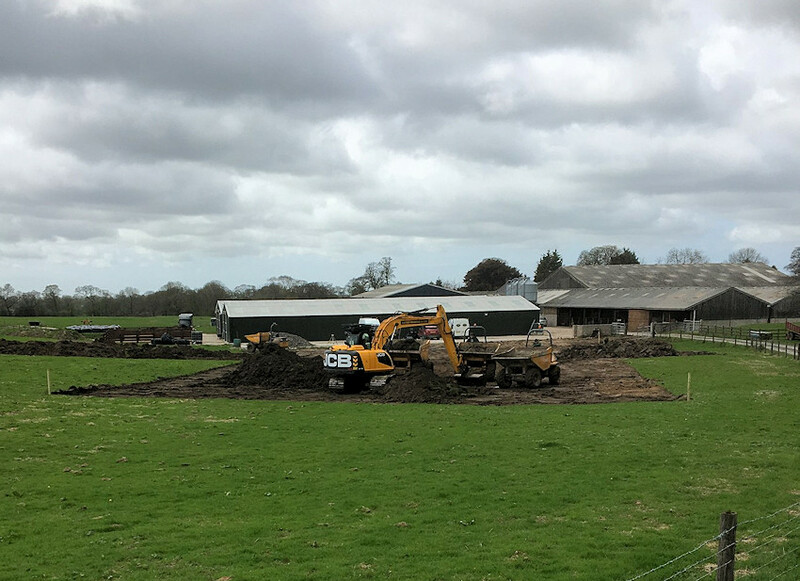 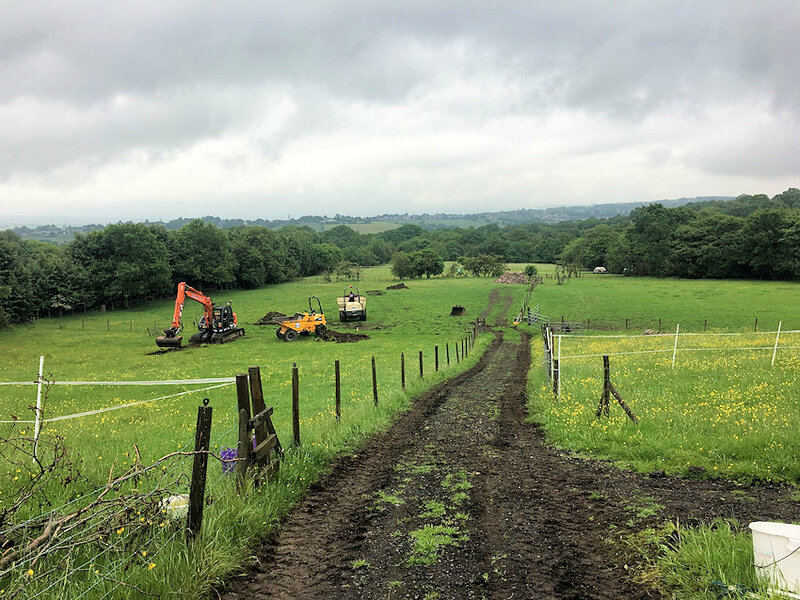 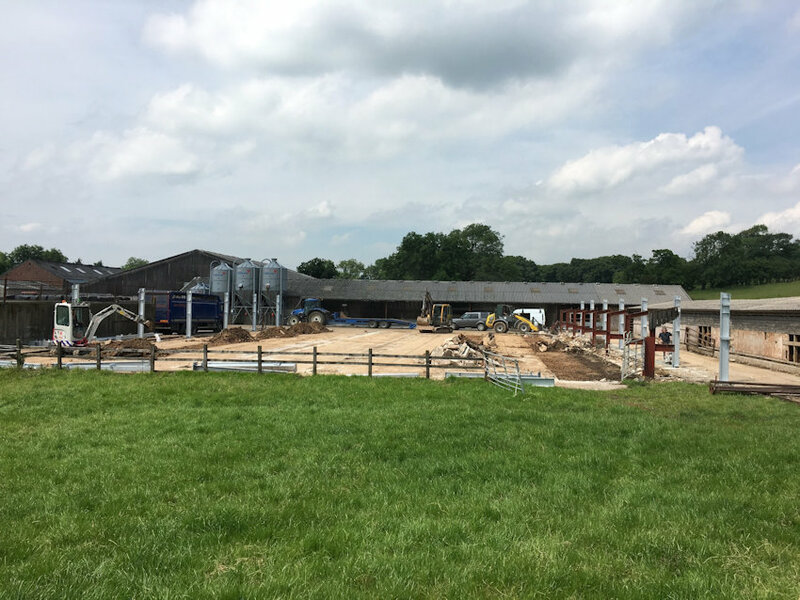 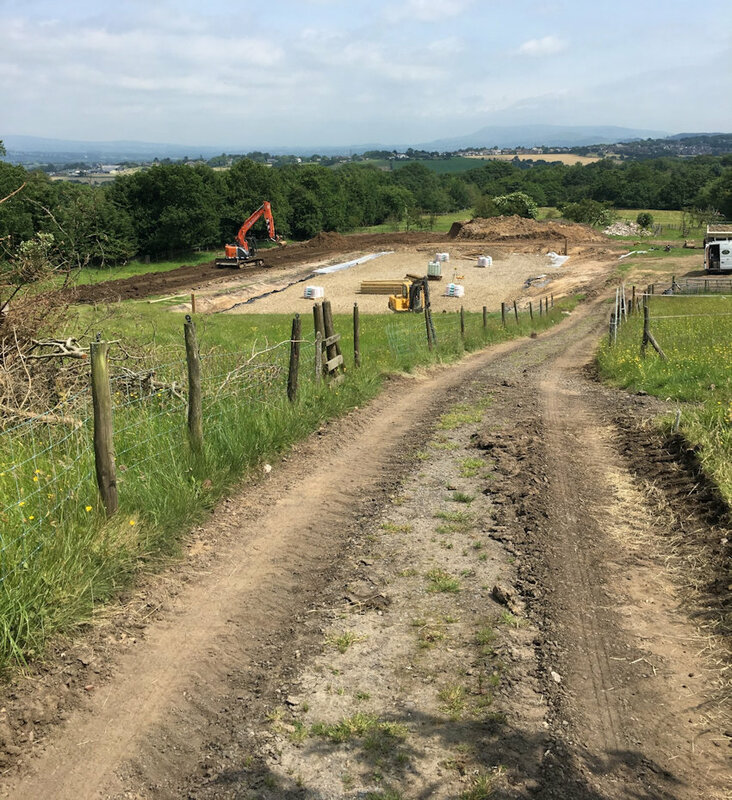 The images below show the conversion of an old farm building to a new livery stable block, tackrooms, feed/bedding storage, wash and rest areas. 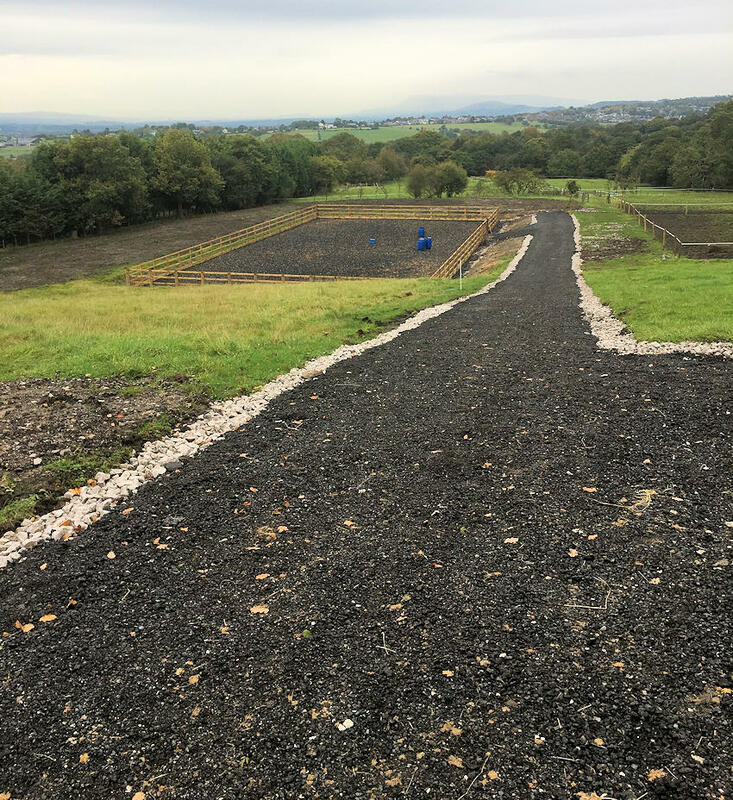 minimum of 4 drains across the width. 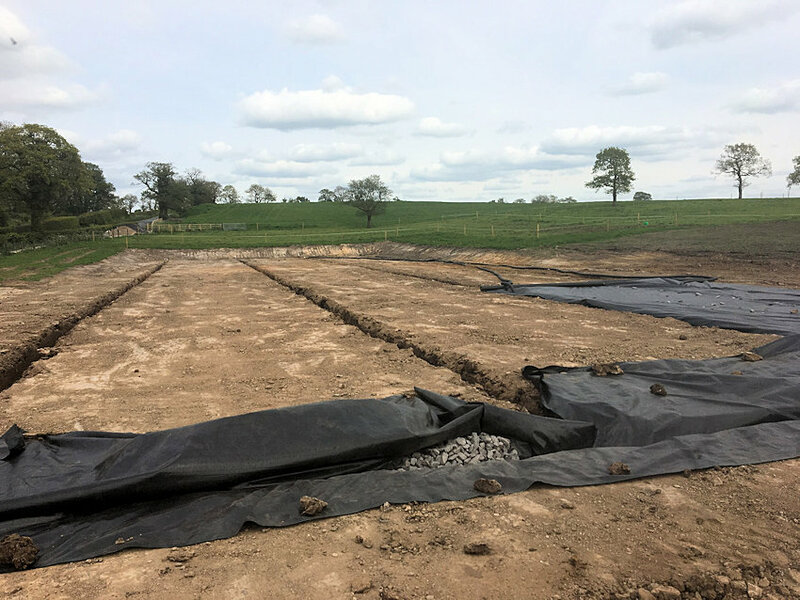 4 inch perforated drains installed into membrane lined drainage channels. 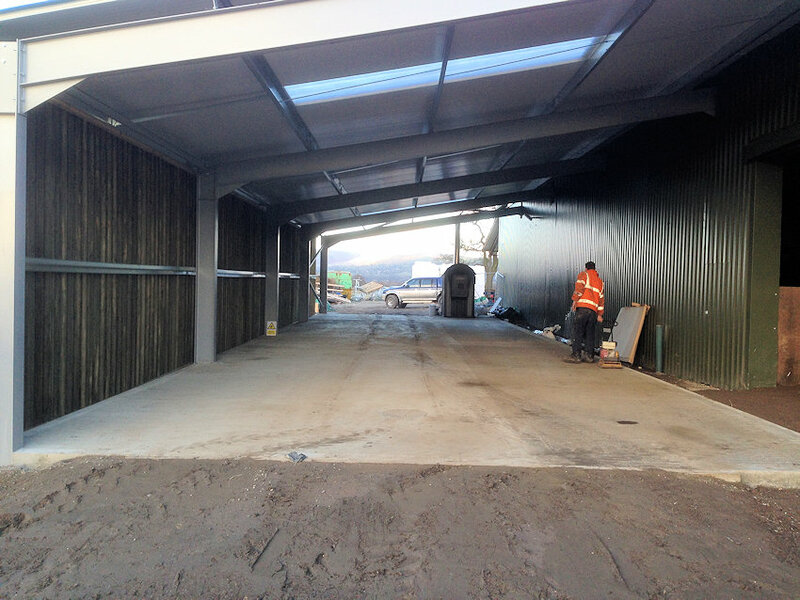 Full Heavy duty membrane laid over the whole base, heat sealed on all joints and battened to kick boards. 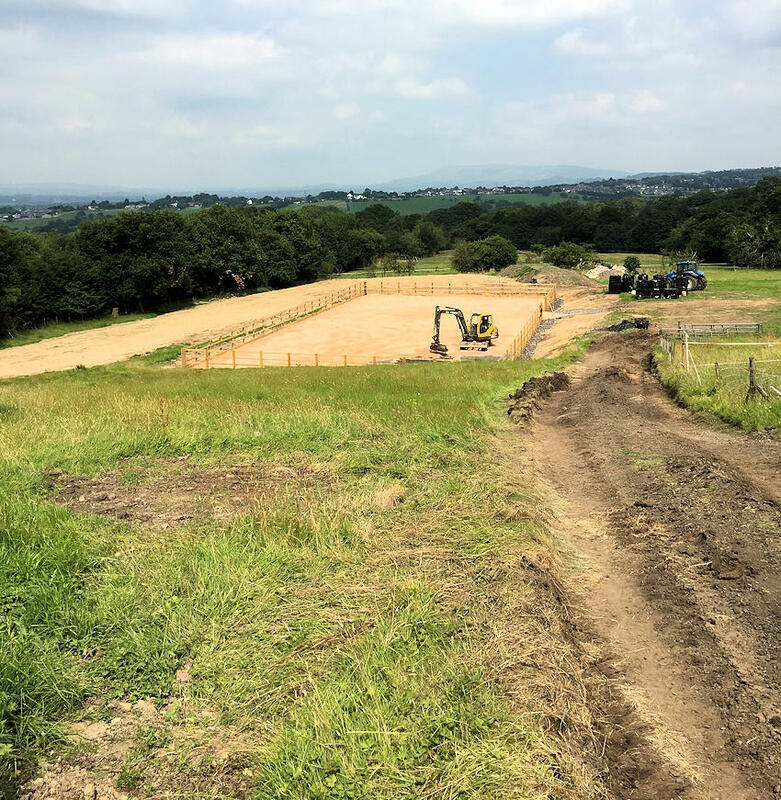 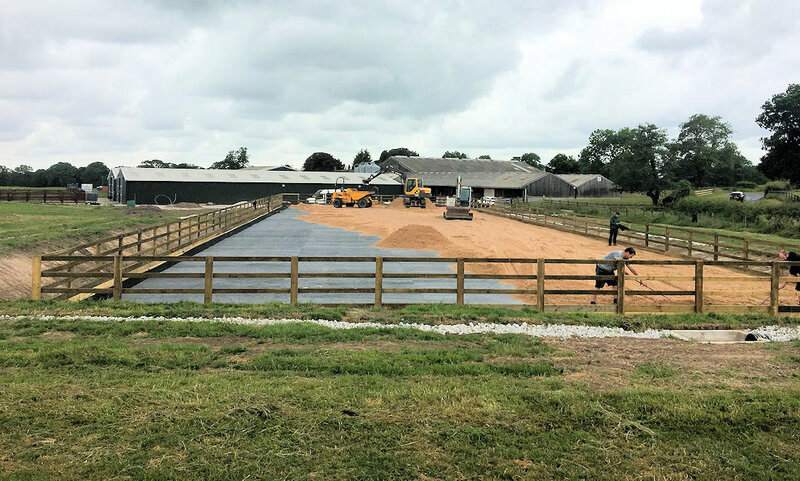 Riding surface laid and compacted - Riding surface is always the choice of the client but we can source samples and we work with both local and national suppliers of all surface types. 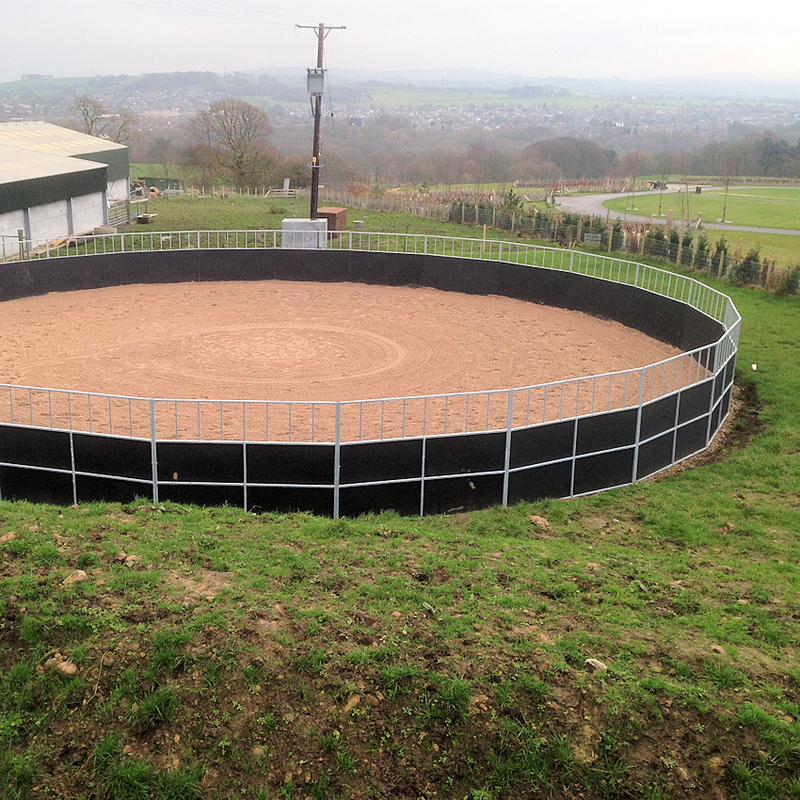 Turnout pens are built as above but with more rails and electric fencing can be added. 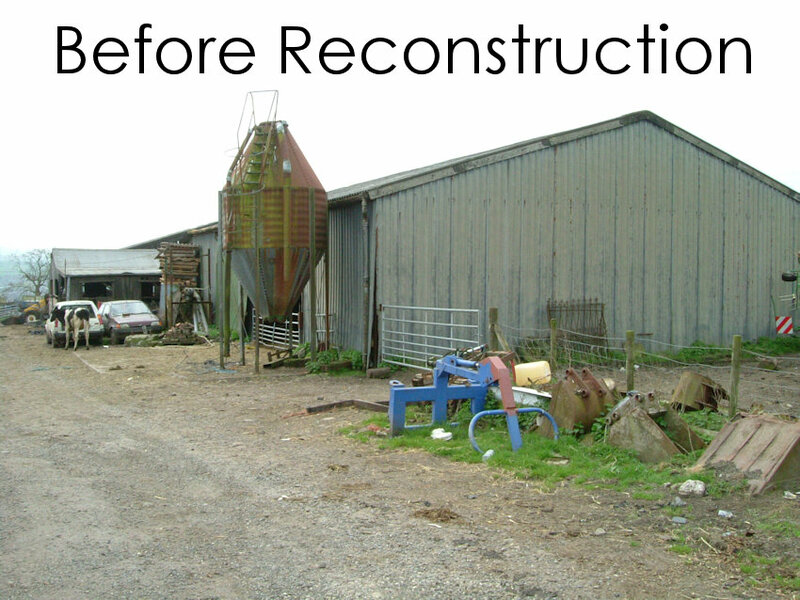 Click the images below to enlarge.. 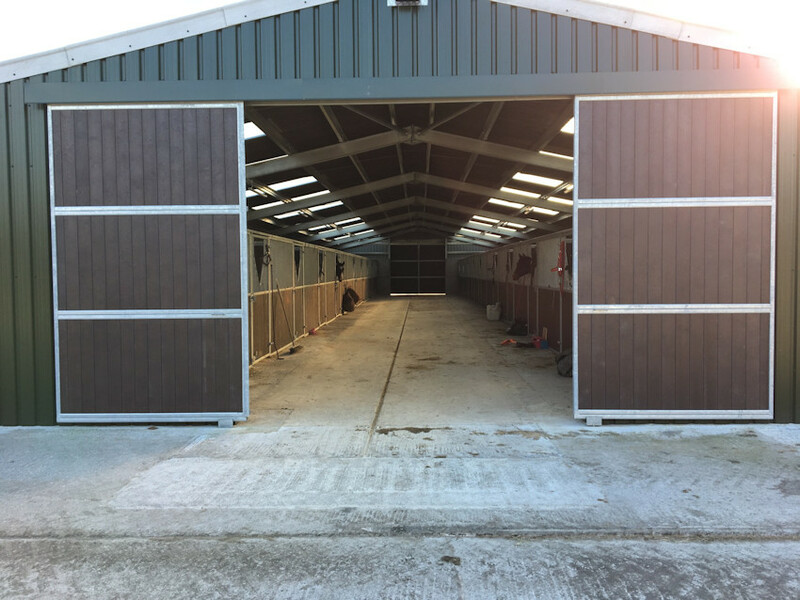 This was a full new build, including 2 buildings each with 20 stables fitted, all designed and built by Yellow Hill Equine. 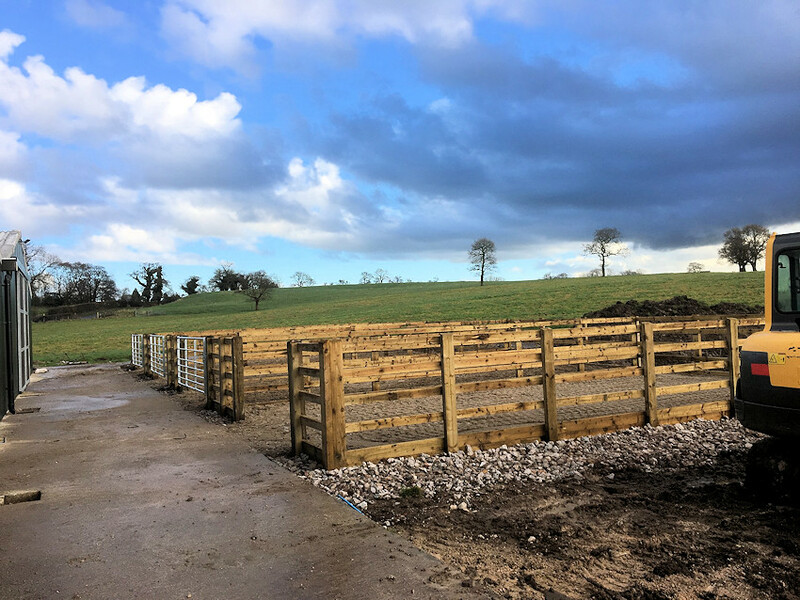 Turnout pens are built to the same design and standards as our arenas but with more rails and electric fence can be added. 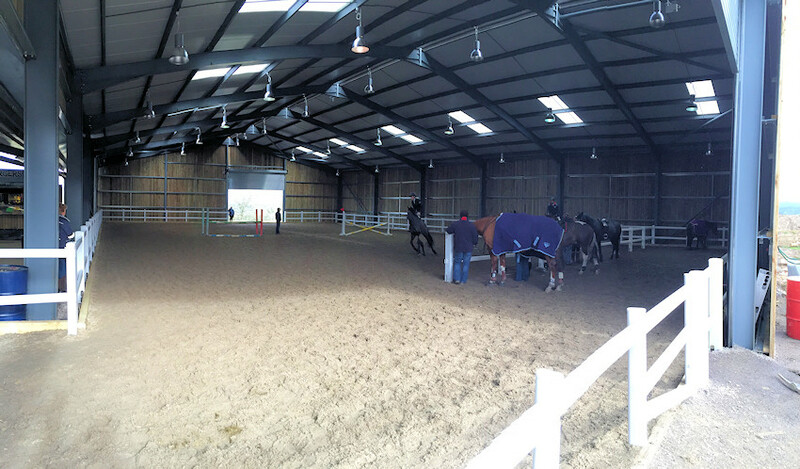 Click an image to view all in gallery..